For the past 5 years, I haven’t been spending enough effort to meet up with my relatives, especially my favourite cousins and elders. Ever since Granny’s death, the whole clan lost their togetherness as one big family. When I was young, CNY is the most anticipated festival for me. It was a time when all the big 7 families gathered and the bonds were very strong. When Granny is gone, no elders manage to lead and continue our family’s tradition and legacy. 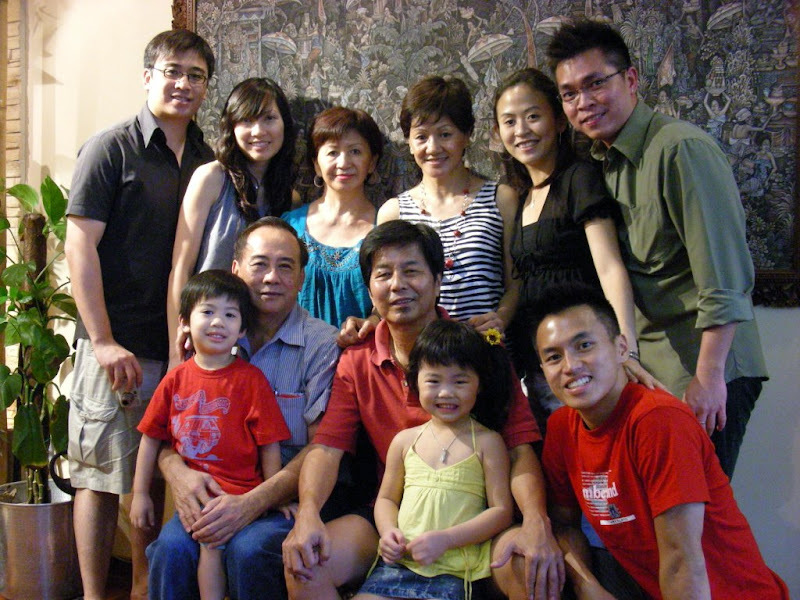 Over the past 9 years, we celebrated our own CNY in our own micro family. We only visit one another and it is so difficult to get the big family back together again. This CNY, I decided to pay all of them a visit. One house after another, the feeling was really good. I guess everyone miss the good old days but no one ever think of rounding up the families together. When I visited Granny at Bright Hill, I told her my little wish – that is to rally the families together in 2009 CNY. Let’s bring back the old glory of one big family. Or should we want to wait for another funeral / wedding to gather? It is on the dinning table where we chat our lives and share our joy. When I dine at Gugu’s house, I tried so hard to hold back my tears on the dining table. There was one particular dish that reminded me of Granny. It was that special taste. Each bite brought back memories of my childhood with Granny. Sigh…I am getting sentimental again. (I guessed I will look really stupid if I cried that day – my dad and mum would think I choked on some bones or what!) I excused myself in the midst of dinner, went to the living room, clear my eyes and throat and came back with the camera. I wish I can expressed more that day. I want to tell them how much I miss Granny’s cooking and those days back in Koon Seng Road. It was simple family-cooked food but the feelings are so different. No other food can compare with this. It is a family recipe, passed by word-of-mouth from mothers to daughters. And soon, all these will be lost and our new generation will have nothing to pass to their next. The best thing in life may not be the most expensive one. Like the animation “Ratatullie”, it is the reminiscing of one’s fondest memory that completes the perfect taste of that signature dish. It is not made up of the best and most expensive ingredients but it consists the “taste of pure love” which touches our hearts.